According to a U.S. Drug Enforcement Administration report, the biggest threat is the Sinaloa cartel; heroin overdose deaths tripled in the U.S. between 2008 and 2015…. The Drug Enforcement Administration (DEA) of the United States declared Mexico is the “primary source” of heroin for the U.S. market, with an increasing poppy cultivation which has tripled in the last three years, El Universal reports. According to the National Drug Threat Assessment Summary, the DEA blames the significant increase in production on the decrease of poppy fields eradication in Mexican territory, as well as the focus of the cartels on heroin trafficking. The report details there are six drug cartels who have a presence and impact in several areas of the United States: the Sinaloa cartel – led until recently by Joaquín “El Chapo” Guzmán, who is currently imprisoned in New York; the Jalisco New Generation Cartel; the Juárez Cartel, the Gulf Cartel, Los Zetas Cartel, and the Beltrán-Leyva Organization. Pursuant to the document, the DEA highlights in 2016 poppy cultivation reached 32,000 hectares in Mexico, capable of producing 81 metric tons of heroin. Three years before, the cultivation only allowed the production of 26 metric tons. The report details in 2015, 93% of the heroin seized and analyzed by the DEA came from Mexico. “The increases in heroin production in Mexico have ensured a reliable supply of low-cost heroin,” explains the administration. They stress the heroin consumed in the U.S. is pure, low-cost, and mixed with fentanyl – a known synthetic opioid developed to serve as a painkiller. For the United States, this is a matter of great concern, given the drug crisis they’re undergoing. Between 2008 and 2015, the deaths from heroin overdose in this country have tripled, reaching almost 13, 000. It is expected that this week, American President Donald Trump declares the opioid epidemic and the controlled prescription drug overdose a ”national emergency”. threat in the U.S. and their influence over the territory is expanding. According to the report, “no other groups are currently positioned to challenge” Mexican drug cartel organizations. 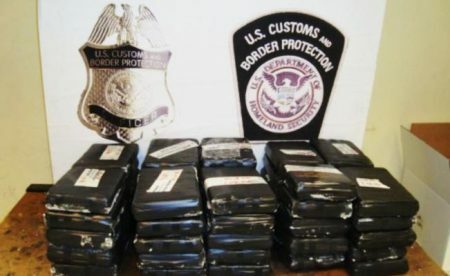 Furthermore, the report states Mexican cartels dominate the heroin, methamphetamine, cocaine, marijuana, and “to a lesser extent”, fentanyl markets. Mexico and all the Central American countries should KICK OUT THE D.E.A. Instead’ these greedy politicians continue to take payoffs and bribes.These creatures are responsible for the excessive body count and warfare between the people and the Authoritarians, who only wish to exploit and undermine these governments all with the lie of combating drugs. Full legalization of Marijuana would defeat them while bringing in many billions in revenue for these areas. SEND THE D.E.A. HOME.